I have gone through many phones, and I must say the HTC Vivid is an impressive phone so far. The color of my phone is white with and I put it in the cutest purple and blue case. Some folks that I have shown the phone to thought it was an iPhone at first glance but maybe they seen the white and automatically assumed Apple, Not! I can’t say much about the iPhone since I only own the iPod Touch, but with the HTC Vivid, I’m certain it has just as good features if not better than the iPhone. That’s me being bias but, so what *insert giggles*. Anyway, let’s get to it. Ever since AT&T started testing out its LTE network in New York City, I have been falling for this phone more and more. I have used the Netflix application under the LTE and the image is vivid and crisp. I remember trying to use Netflix on my Samsung Focus and HTC Status and the picture was very blah at best with lots of glitching. But, with the vivid so far no glitch. I also love the Tango application that my dearest fiance installed on the phone. Getting to video chat without having to be on WiFi is pretty fantastic to say the least. 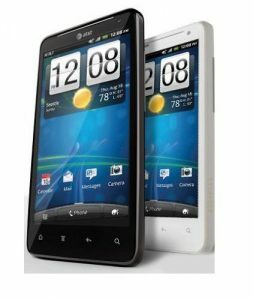 The HTC Vivid compared to the HTC Status is a much better phone although made by the same company. The Status which I owned just before the Vivid was cute and light weight but, was missing the “IT” factor for me. It was definitely a phone for just Facebooking and nothing more. Besides, the minimum storage space was driving me crazy. Although I like the HTC Vivid, I think I would have preferred it a little slimmer and light, but all good things aren’t always perfect. There is always something that you may feel can be better. I guess that’s why new phones keep coming out. Keep us consumers upgrading! Another awesome feature of the phone that I’m really digging is its animated wallpaper; the weather wallpaper to be exact. I really enjoy when unlocking my phone, or just looking at my phone I’m able to get an idea of how the weather is outside. The feature is pretty much on point. Even though I’m still learning my phone, I am certainly enjoying it thus far.